One of the 19 South Korean hostages recently freed by his Taliban captors apologized for causing trouble by being kidnapped. One of the 19South Korean hostages recently freed by his Taliban captorshas apologizedfor causing trouble by being kidnapped. "I can't sleep due to concerns that we caused so much trouble," Yoo Kyung-sik, 55, said in an interview Friday on South Korean television. "I feel very sorry." All the remaining hostages were released Thursday following a dealreached Tuesday betweenthe South Korean government and Taliban representatives. They were expected to arrive home Friday night. The hostages' freedom was on the condition that South Korea withdraw troops by the end of year and suspend missionary work in Afghanistan. Taliban militants seized 23 South Korean members of a Christian aid group travelling by bus from Kabul to Kandahar on July 19. They had demanded the Afghan government and the U.S. military release Taliban prisoners in exchange for the safe return of the South Koreans. In late July, they shot and killed two male captives. In mid-August, they released two female hostages. Yoo said the group was travelling on a chartered bus in southern Afghanistan when two local men got on board with the permission of the driver, who said they were not dangerous. A half-hour later, the men fired shots and stopped the bus, Yoo said. Yoo also said he and fellow hostages were first kept in a cellar. Later, they were moved into a farmhouse. Six days later, they were separated into groups of three or four and kept on the move. He said his group was moved 12 times, usually on motorbikes or on foot. 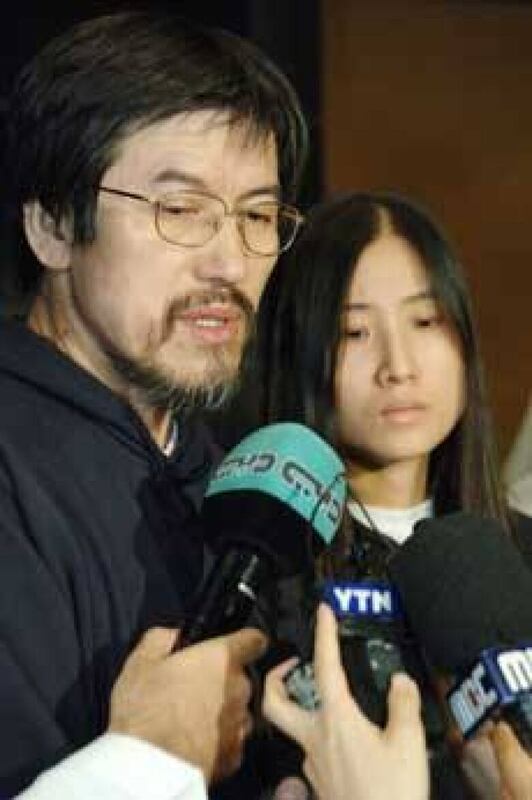 Suh Myung-hwa, another hostage who was interviewed, said all she thought about was staying alive. "I didn't feel any pain under captivity, I guess because I was in a panic the whole time. But now that the tension is gone, my body aches all over."